I love honey - it is uncommonly delicious. So unique and flavorful and versatile. 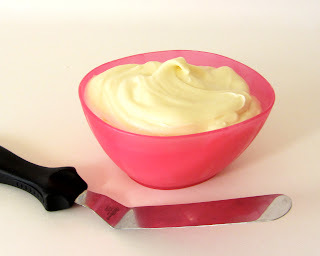 One lovely application is to turn it into frosting. This recipe is adapted from The Cake Blog. It would be great on honey, vanilla, lemon, and orange cake; also on cinnamon rolls - and probably plenty of other goodies, too! 1. Beat the butter with an electric mixer until smooth. Beat in the cream cheese until smooth. 2. Beat the honey into the butter mixture. Add half of the powdered sugar. Beat until smooth. 3. Beat in the second half of the powdered sugar until smooth.